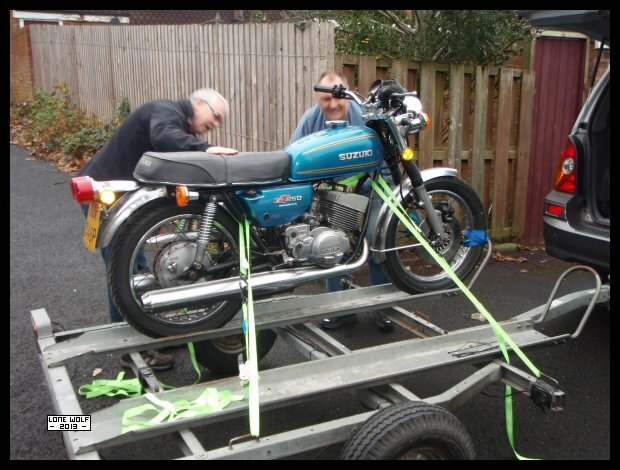 The GT 250 heads off to a new home is South Wales. due to a missing locating dowel at the rear of the case. Tuesday and I spent a few minutes turning a new locating dowel. Wednesday and the Bantam is all happy again with new clutch plates and a new locating dowel. Friday and I bid farewell to the Suzuki GT 250 - in all fairness I do now have an MZ 250 to try and modify to allow me to use the gear change.